Rachio is NOT affiliated or authorized by HUNTER; the HUNTER brand rain sensors are manufactured by HUNTER. This article is intended for instructional and compatibility purposes only. Select your controller below for details on controller-specific wiring. Insert the Blue wire into the S1 terminal of the Rachio 3. Insert the combined Yellow wire (a) and White wire into the VAC(-) terminal. Insert the remaining Yellow wire (b) into the VAC(+) terminal. Stuck on wiring? 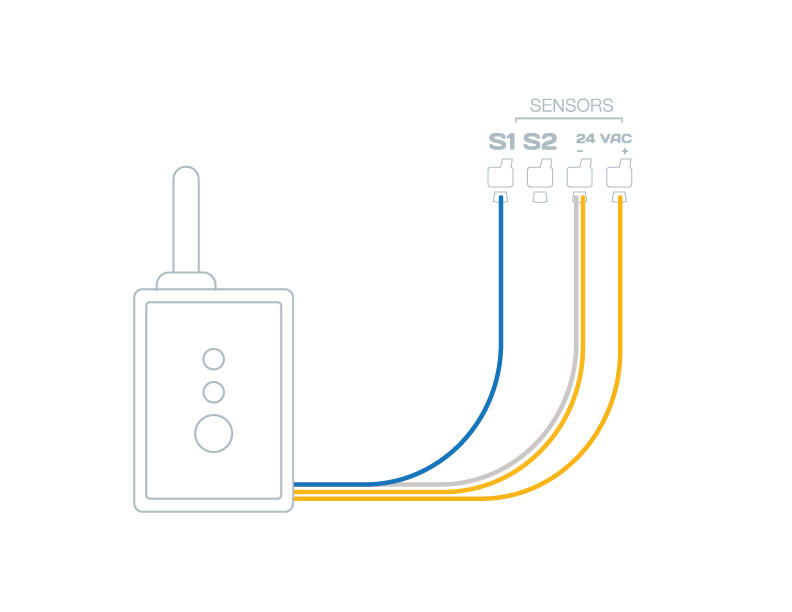 Check out this article on basic and advanced wiring for all Rachio controllers!